Our cleanroom kits are only manufactured to order, as there no set sizes for modular softwall cleanrooms. We can manufacture to size rapidly and our softwall PVC strip enclosures represent the most economical type of modular cleanroom wall construction on the market. 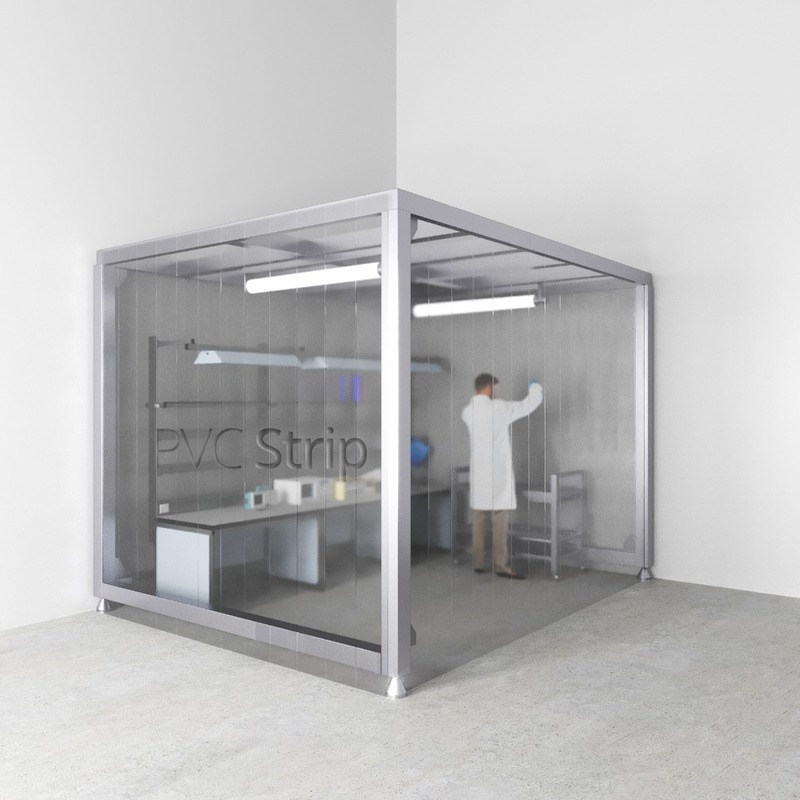 Our PVC strips or panels overlap to create a seal that won’t allow foreign particles into your cleanroom environment, the strips are self-closing and allow workers to be witnessed at all times. Cleanroom curtains are used extensively in electronics, food, aerospace, pharmaceuticals, hospitals where the utmost levels of care and attention to product detail are required. Cleanroom curtains are recommended for use in ISO Class 7-8 cleanrooms. The DK range of PVC curtains for cleanrooms is an economical solution to area containment in industry. We use either standard grade PVC or high-grade anti-static PVC (various widths and thicknesses) for cleanroom applications to meet your containment requirements. Our PVC curtain kits include either the premium range plastic bullet rails or stainless steel hook type suspension rails to complete the kit. The suspension systems offer ease of install and ensure safety for high and low traffic environments. We are a supply only company, so if you require assistance when installing, please visit our information centre to view our variety of installation guides for both our plastic bullet rail and stainless steel hook type suspension systems. Grade of PVC required – do you have any anti-static or fire retardant requirements? What is being manufactured within the cleanroom?